According to reports, Apple’s elusive “iWatch” device will be packed to the gills with sensors as the company goes for the jugular of competitors like Sony, Samsung and Pebble. But now we’re hearing that the wearable won’t be the only Apple device abundant with sensors, with the iPhone 6 apparently set to contain a barometer / air pressure sensors for accurate readings of weather conditions and altitude. There’s no doubting the fact that the Cupertino company’s next smartphone is well on the way, and with the iOS 8 software having recently been announced at the Worldwide Developers Conference, or WWDC, we can also be fairly sure that the HealthKit suite will be a significant part of the bargain. The idea of a barometer in a smartphone is nothing new, with several rivals to the Apple iPhone having already entertained it. But with HealthKit en route to iOS in the coming months, iPhone users engaging in activities such as rock climbing could take full advantage of such a sensor, which would also be capable of measuring air pressure. Since the release of OS X Yosemite 10.10 Developer Preview, iOS 8 beta and Xcode 6, many clues have been uncovered as to what we might be able to expect in terms of hardware, and along the way, references to a potential barometer have been sourced by 9to5Mac. Of course, it’s often the case that these signs amount to nothing, and so for the time being, we’re not getting too excited at the possibility of Apple throwing in a barometer with the iPhone 6. Moreover, Apple hasn’t even announced the device as yet, and although we think we know what’s happening in regard to the form factor and design, there’s still a long time to go before that projected September announcement. As you’ll likely have grasped by now, it is widely suspected that Apple’s iPhone 6 will arrive in two different size configurations, with a 5.5-inch model accompanying a 4.7-inch variant. Set for announcement in the coming months, it will apparently sport a reworked, curved form factor akin to the iPad Air / iPod touch, and as well as the aforementioned sensor, also bundle an enhanced processor and improved camera under the hood. 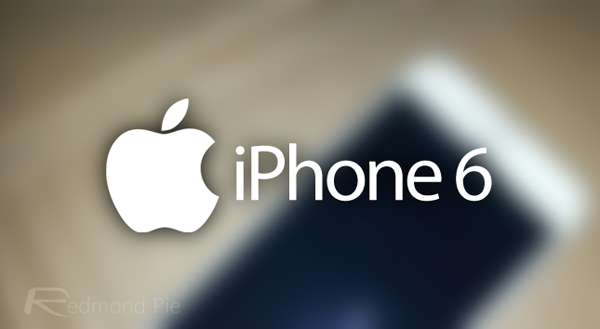 Stay tuned for more iPhone 6-related information as and when it arrives!